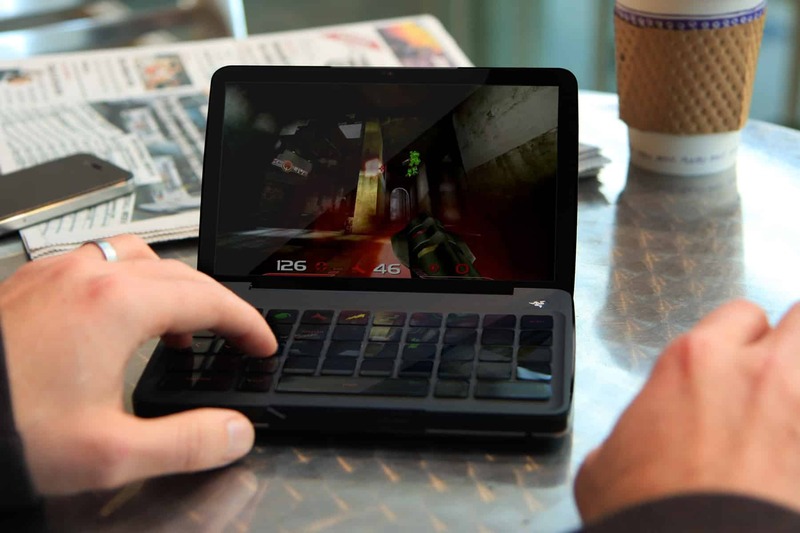 Last year, Razer introduced the Switchblade mini-PC concept at CES. The idea was that you’d have a netbook-sized device which was primarily aimed at gaming, costing under a grand. It had a keyboard backed with a backlit LCD, so the keys would change to reflect whatever game you were playing. Something always felt off to me about this concept – what about the mouse? Every demo was behind glass or on video. Nobody actually saw this thing being used by a real human. It had a touchscreen, but no trackpad (nor room for one). And yet they told everyone that it would be great for playing first-person shooters as a gaming PC on the go. If you’re on the go, do you really want to bring along a mouse that is half the size of the computer itself? Or, do you want to poke the little bitty screen to move, thereby obliterating your view of the game? Eventually, Razer announced an actual product with Switchblade DNA, the Razer Blade. This is a full-sized laptop, and it still has some might morphin’ key action (for ten special keys), but they added a trackpad where the number pad would go on a normal PC 104-key keyboard. This seems like a great location for a trackpad for right-handed people and a complete deal-breaker for lefties. Also, that trackpad has a screen under it to allow the “screenpad” to reflect game-specific details. Nifty. Of course, it also costs over two thousand dollars. 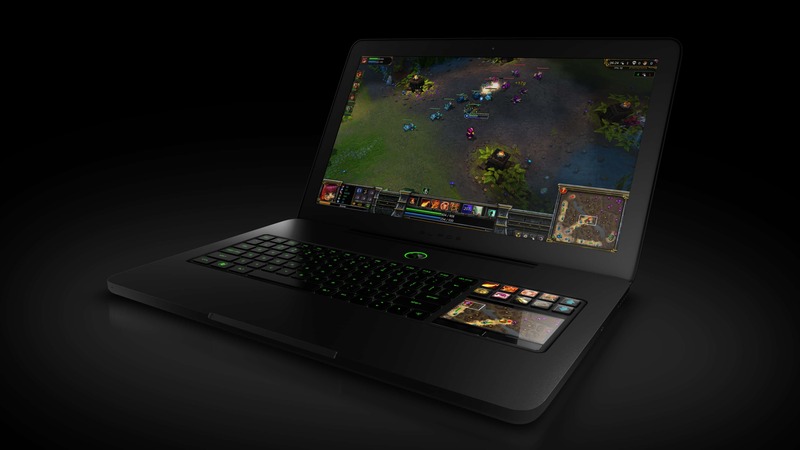 This year, Razer is showing off the Project Fiona concept gaming device. Instead of a tiny laptop, it’s a largish tablet. 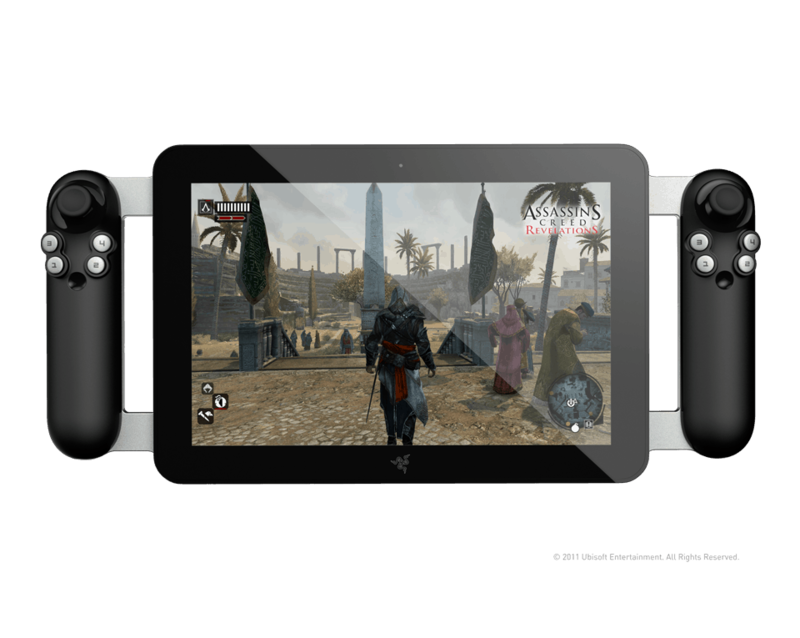 Unlike any tablet you’ve ever seen, it includes gaming sticks bolted to the sides. Using an analog stick to replace the mouse is at least plausible, although I wonder how it would work in action. Fortunately, many FPS games include gaming controller support, so they should work well with this device. But, it’s still not going to work for those games which really need a mouse, like strategy games and war games. 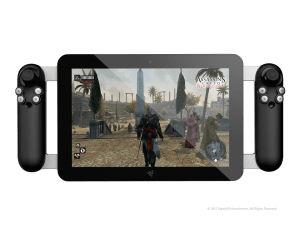 Just like the Switchblade before it, Razer claims to be aiming at prices below a grand for this Windows 8 tablet with a Core i7 CPU and otherwise secretive parts. What do you think, does this make sense to you? And do you think anything close to this design will ever be available for anywhere close to this price? This entry was posted in Entertainment, Geek, News on 2012.01.11 by Gary.